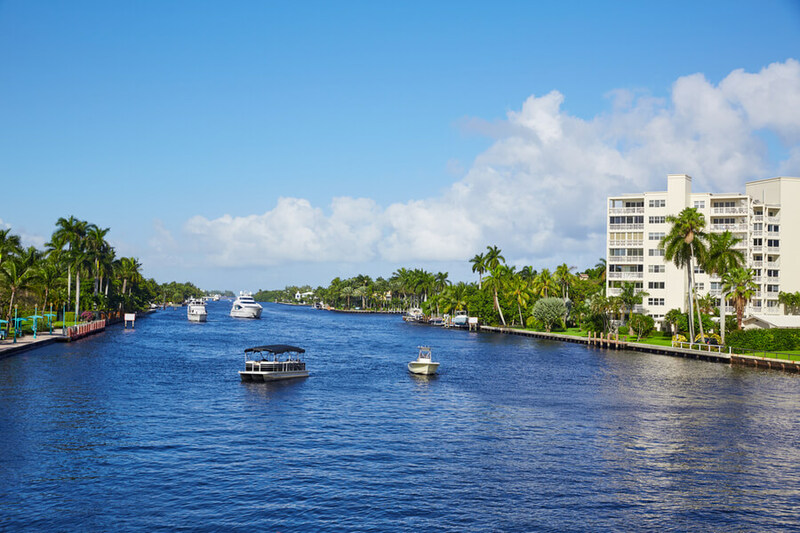 Situated in the Atlantic Ocean is the Delray Beach, home to one of the most successful rehabilitation centers for alcohol abuse and drug abuse issues – the Transformations Drug and Alcohol Treatment Center. The Transformations Drug and Alcohol Treatment Center offers residential and outpatient treatment programs to patients struggling with addiction issues, but also, mental health issues. Patients of both the male and the female gender are accepted into the facility, no matter the age – adolescents, college students, and adults are all welcome. The Transformations Drug and Alcohol Treatment Center follows the standard 12-step recovery program, with the individual and group therapy sessions included, but it also has a holistic approach to the addiction issues and mental health issues. Detoxification is available on-site, and it is required for all patients to complete it, in the duration of five to seven days, before they begin their treatment program. One of the best things about the Transformations Drug and Alcohol Treatment Center is the fact that using genetic testing in order to determine which therapies exactly should be used as a part of the treatment process, which guarantees the individual approach for each patient. During their residential stay at the Transformations Drug and Alcohol Treatment Center, the patients get to enjoy in the 36 private apartments, one for each patient. Each apartment has a fully furnished bedroom, bathroom, kitchen, and even a washer and a dryer. A flat-screen TV is available in each apartment as well. Inside the main building, there is also a common kitchen with a dining room, doctors’ offices, therapy rooms, common rooms as outside there is an on-site pool, a basketball court, a picnic area, and a sun deck for the patients to enjoy in during their free time. In the common rooms, there are computers and phones which the patients can use under supervision. The patients are required to prepare their own meals, three times a day, as a part of their treatment program and life skills training. All of the grocery shopping is done by the staff at the Transformations Drug and Alcohol Treatment Center. Residential treatment program – The residential treatment program requires patients to live in the facility as they are permitted to leave the facility for as long as their treatment lasts. The residential treatment program includes individual and group therapy sessions, CBT, EMDR, family therapy sessions, detoxification, relapse prevention, etc. In most cases, the treatment lasts around 30 to 90 days, depending on the condition of the patient and the progress that he/she has made during his/her stay at the facility. Outpatient treatment program – The outpatient treatment program is recommended to anyone who does not require close supervision 24/7 or is unable to take time from work/school to join the residential treatment program. The outpatient treatment program includes the same therapies as the residential one, as the treatment plan is made individually for each patient. According to the official website of the Transformations Drug and Alcohol Treatment Center, the facility accepts most insurance plans and offers great deals to patients who are paying out-of-their-pocket alone, despite the fact that this is a private facility. For 30 days of treatment, the price is around $22,500. For more information on the topic, please contact the staff via email or phone. According to the official website of the Transformations Drug and Alcohol Treatment Center, the facility and its professional team enjoy the accreditation by the CARF (The Commission on Accreditation of Rehabilitation Facilities), which is a non-profit organization responsible for maintaining only high-quality care and services at the accredited rehabilitation centers. The Transformations Drug and Alcohol Treatment Center is also a member of the National Association of Addiction Treatment Providers and has earned accreditation by the Joint Commission. In order to assure that the patients are having a good time, apart from the excellent medical care that they are getting at the Transformations Drug and Alcohol Treatment Center, they can choose from the variety of recreational activities organized just for these occasions. The patients can participate in daily yoga classes, cooking classes, swimming, movie nights, deep-sea fishing, wandering, barbecues, and volunteer work. The family members of the patients are invited at such occasions as well. Transformations Drug and Alcohol Treatment Center’s professional team includes numerous registered nurses, physicians, Master-level therapists, LCSWs (Licensed Clinical Social Workers), and LMHCs (Licensed Medical Health Counselors). For more information on the topic, please contact the staff via email or phone.